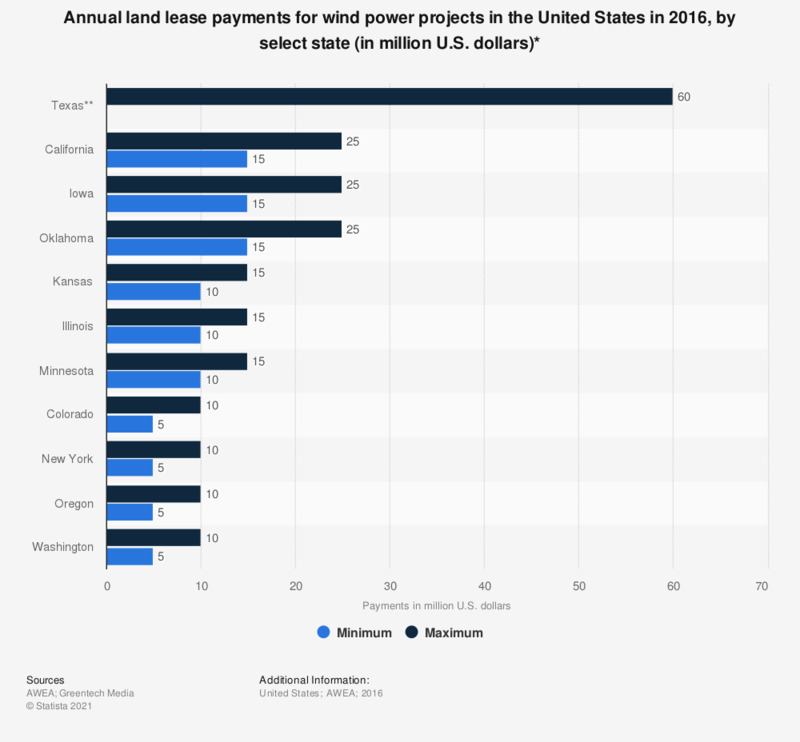 This statistic represents the annual land lease payments for wind power projects in the United States in 2016, by select state. The estimated annual lease payments for wind power projects in Texas amounted to more than 60 million U.S. dollars. Almost all wind projects in the U.S. are located on private lands in rural areas and is often the largest source of county tax revenue. ** Greater than 60 million U.S. dollars.